A Beautiful male Risso's Dolphin Stranded today on Perranporth Beach...kind members of the public called British Divers Marine Life Rescue hotline..01825 765 546 and were adviseed how to care for it whilst they waited for Marine Mammal Medics to arrive! Read more about Basking Sharks are HERE!! Read more about Which Seal?? 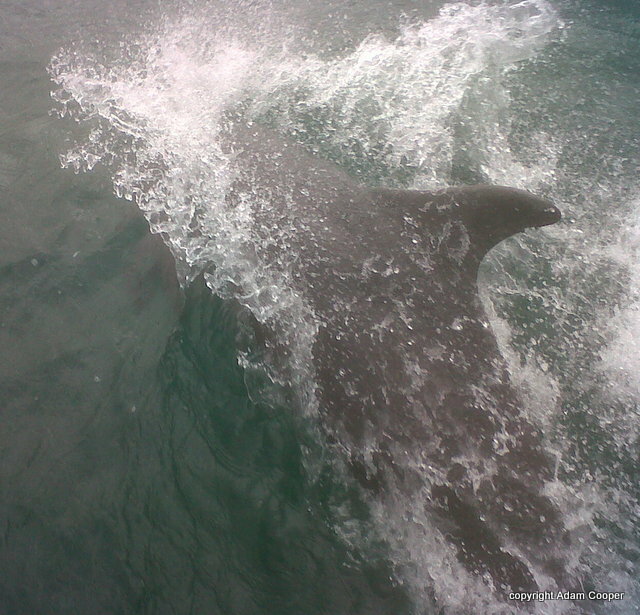 To appreciate the size of the Bottlenose Dolphins , watch this video taken by Skipper Chris Lowe from onboard Atlantic Diver on Saturday http://www.itv.com/news/westcountry/ beautiful dolphins with awesome powerful tail flukes!